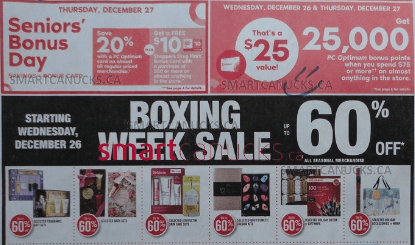 Click here to view Shoppers Drug Mart Canada Boxing Day Flyers. Receive a $10 Shoppers Drug Mart Bonus Gift Card can be used on a purchase of $50 or more on Anything in-store. The Shoppers Drug Mart Seniors Bonus Day Offers are valid today only, Thursday, December 28, 2017. 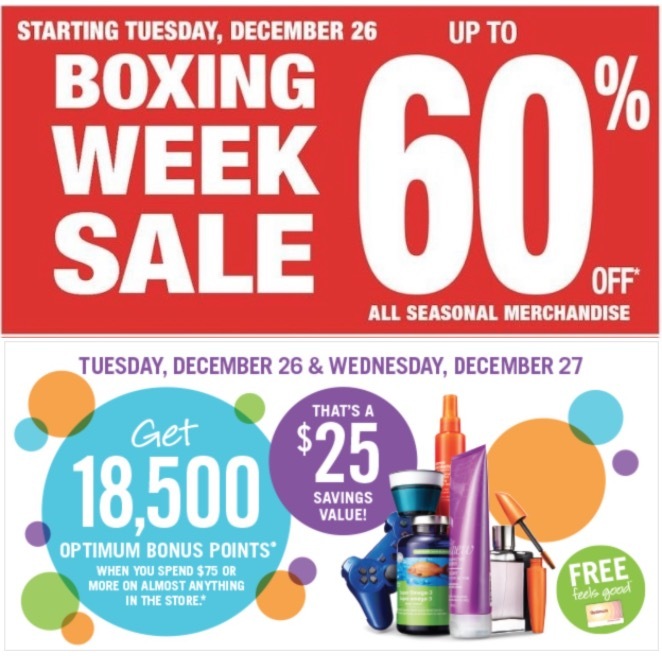 Shoppers Drug Mart Canada Boxing Day sale starts Tuesday, Decembers 26, 2016. 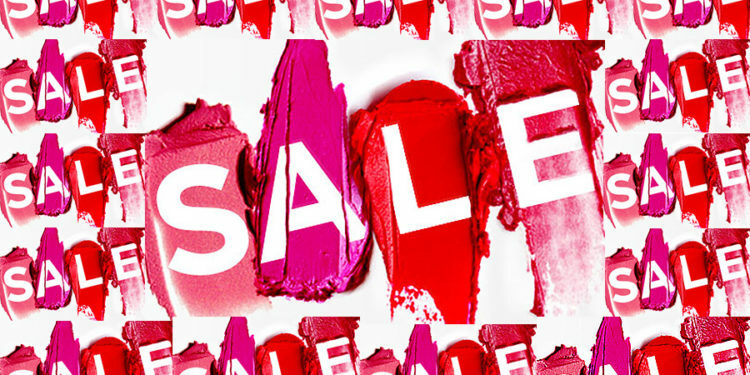 Save up to 60% off all seasonal items like select gift sets, Keurigs, gift wrap, candy, and more. Get 18,500 Shoppers Optimum Bonus Point when you spend $75 or more on almost anything in the store. That’s a $25 savings value. This offer is valid from Tuesday, December 26, 2017 to Wednesday, December 27, 2017.